Providing enough energy to power 4000 homes! At M Bar C Construction, we are always honored to be trusted with our partners’ projects. There’s something completely thrilling about a project that is in our own “backyard”. These partnerships create a powerful testimony for the positive environmental impact and product integrity of the structures that we are so proud to create at M Bar C Construction. Our partnership with San Marcos Unified School District has been just that. 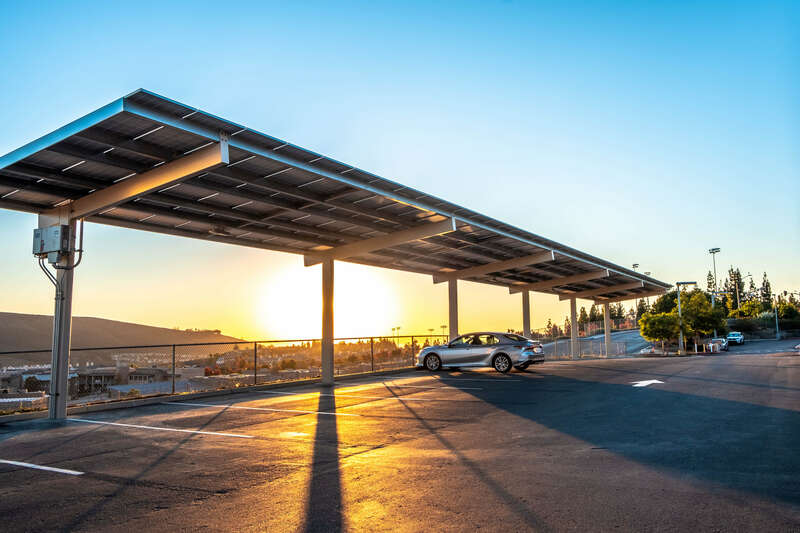 With our M Bar C Construction office based in San Marcos, California, we were overjoyed to have been selected to partner with San Marcos Unified School District in installing DSA (Division of State Architecture) Pre-Approved Solar Carports at 14 different San Marcos schools. Throughout the 14 sites, San Marcos Unified School District has installed an impressive 5.34 megawatts of DSA Solar Carports. These structures provide enough energy to power an upwards of 4000 homes at once. If you’re anything like us, and can’t get enough of seeing these structures in person, these finished solar carport structures can be viewed at the following schools. We are proud to have joined with San Marcos Unified School District in bringing their vision into today’s reality. We commend our hometown for actively pursuing the betterment of our community, our schools, and our future by utilizing the power generating and fiscally responsible solutions that these DSA Solar Carports provide.